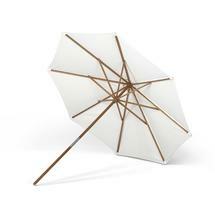 Parasol Covers are available separately. The round parasols take the small cover and the large square parasols need the large size cover. 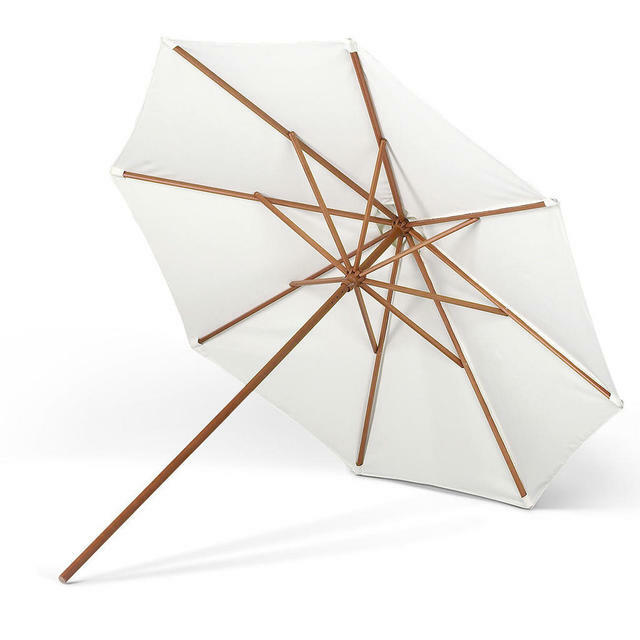 With regard to caring for your parasol, we would recommend leaving the umbrellas open to dry in the summer. This prevents fold marks that can occur if the umbrellas are left closed in the garden without a cover on. 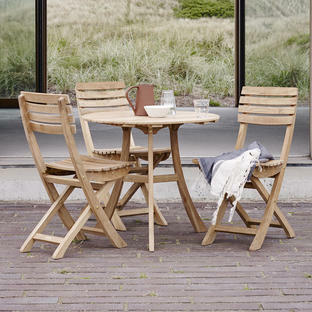 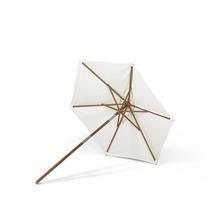 Messina Small Hexagonal 210cm with wooden pole 3.5cm for small tables. 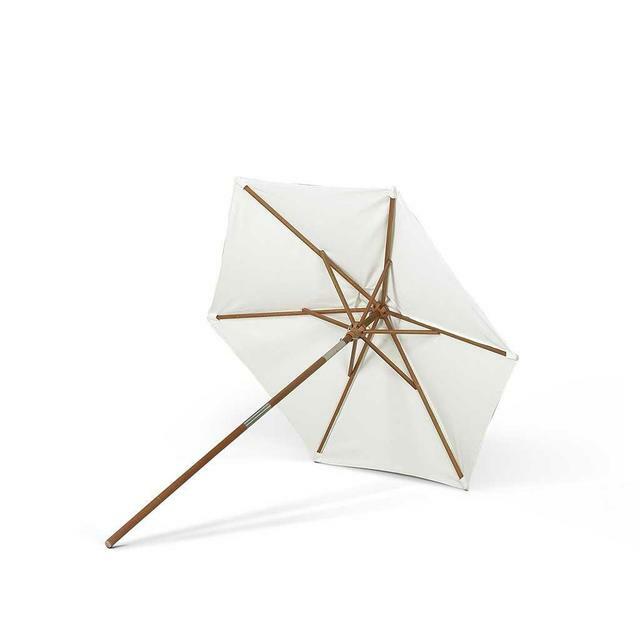 Messina Medium Hexagonal 270cm with wooden pole 3.5cm pole. 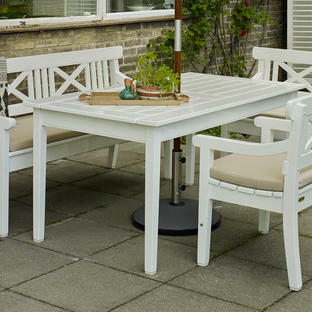 Messina Large Round 300cm with wood 4.8cm pole. 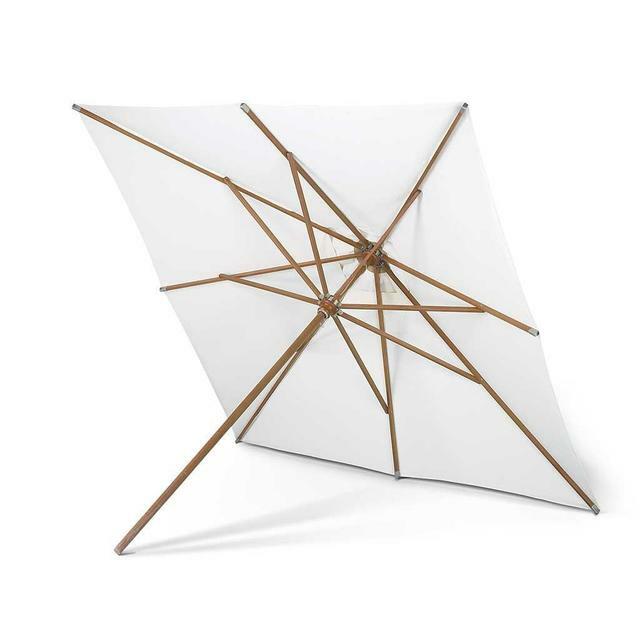 Messina Large Square 300x300cm with wood 4.8cm pole. The parasol pole is a complete piece of wood and does not split into 2 halves for storage. 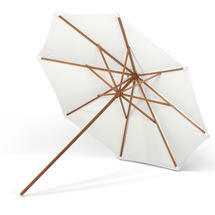 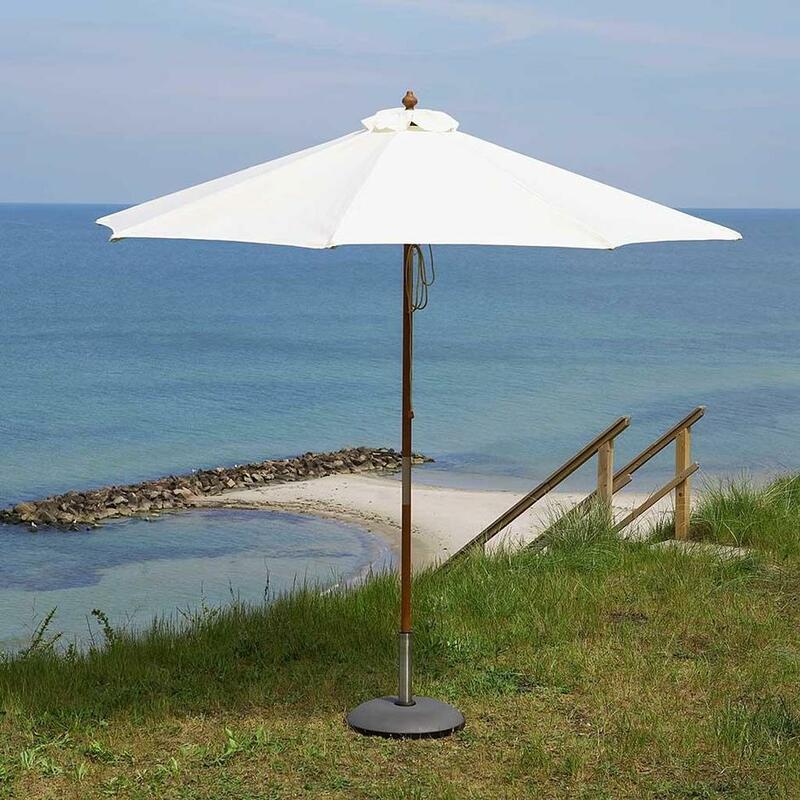 We recommend a heavy parasol base of at least 42kg for this parasol. 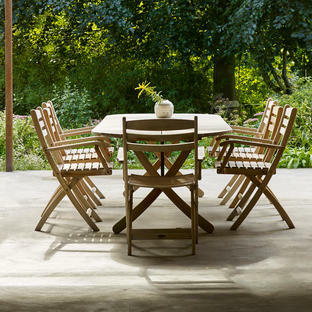 All are easy to open and close.